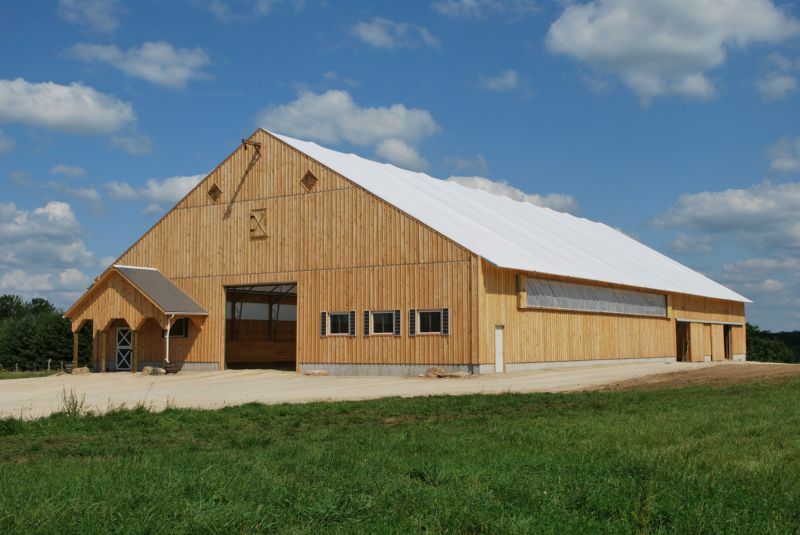 Fabric is a smart choice over steel and other traditional materials. Natural light creates a better work environment, saves electricity and means fewer bulb changes. 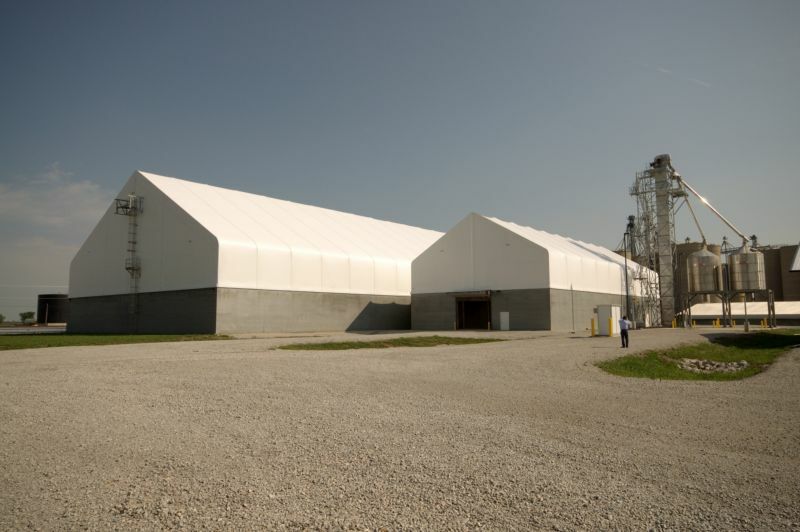 Fabric's sound dampening qualities result in a quieter, safer working area. 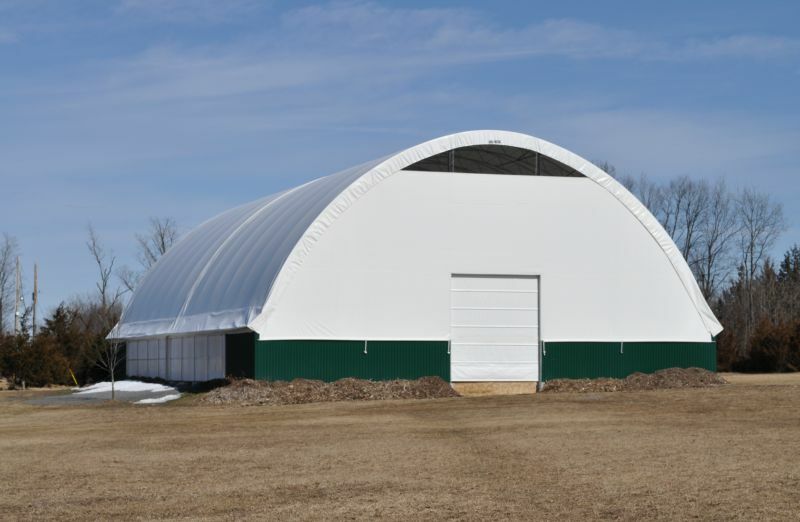 Increased air movement provides a healthier environment without moisture build-up. 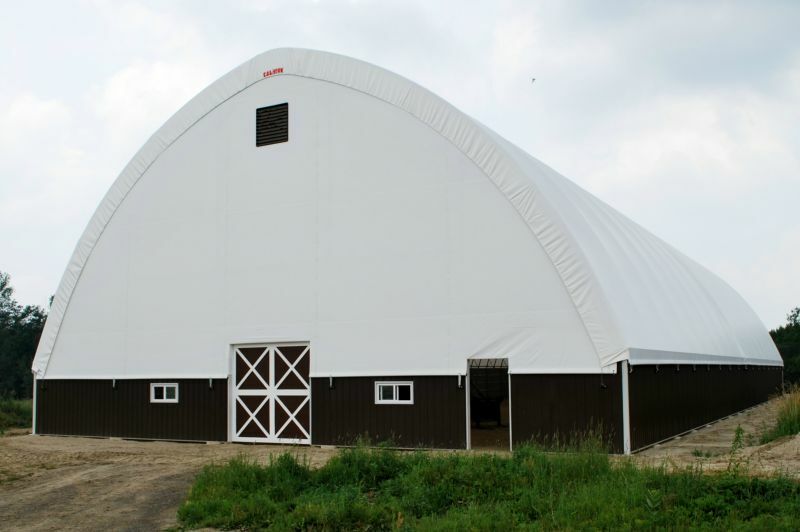 Our fabric structures reduce interior temperature fluctuations. 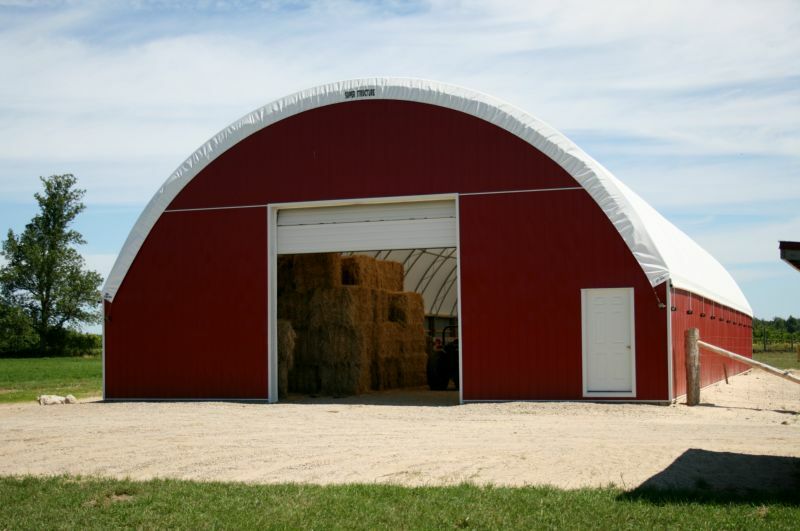 Fewer supports and hoop design provide increased storage space. 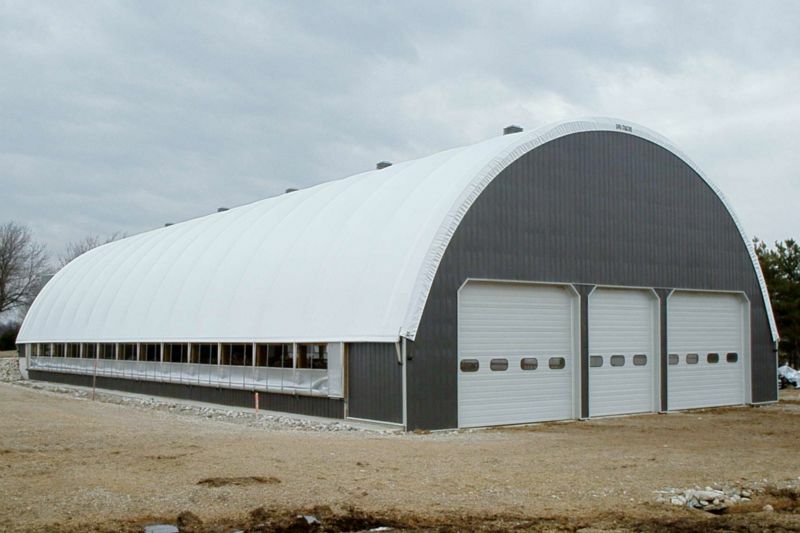 Versatile, fast and easy to repair, fabric buildings have unlimited usages and outperform steel in caustic environments. 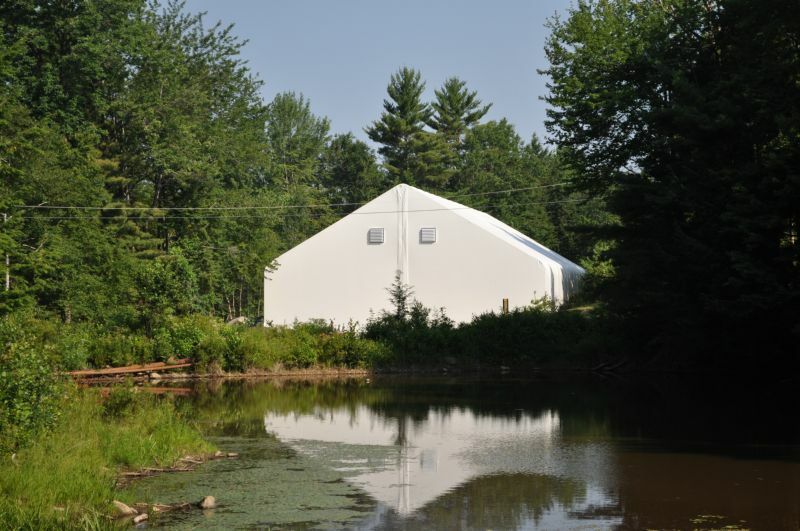 Hot-dipped galvanized means your structure will last longer. 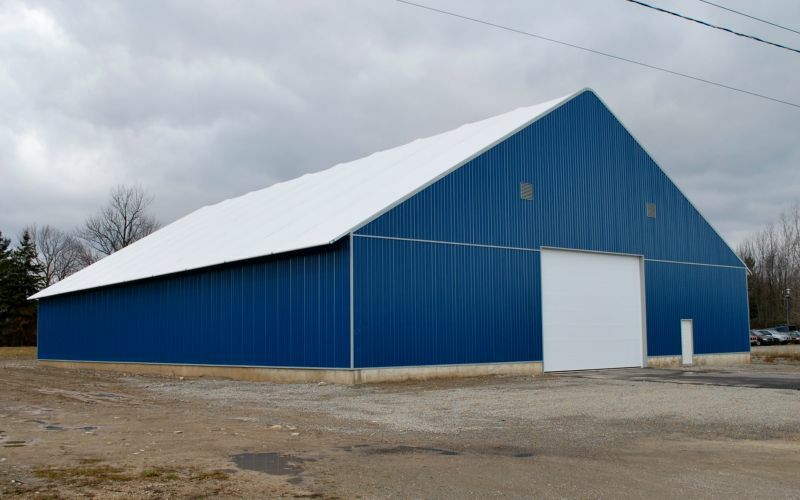 The entire steel framework is hot-dipped galvanized (HDG) inside and out after fabrication, so that everything is protected, including the welds. 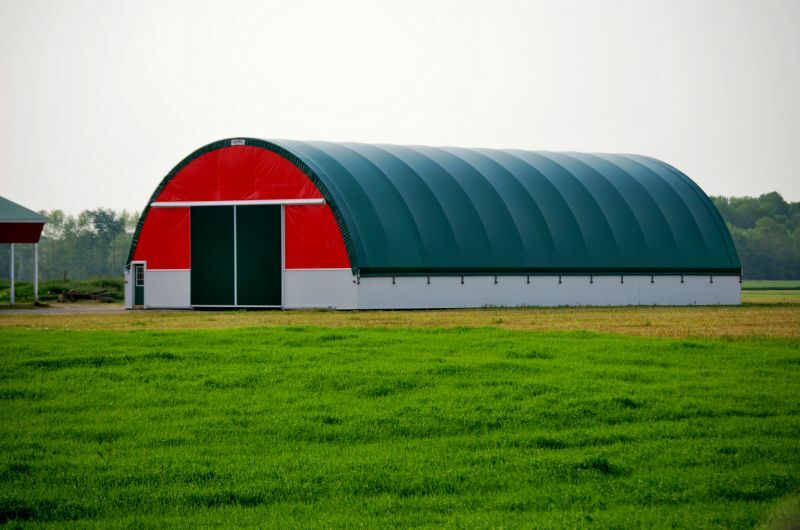 The result is a stronger framework, that takes up to 3600 psi after metallurgical bond, compared to a pre-galvanized structure that takes only 300 to 500 psi after metallurgical bond. HDG self-heals, so there's no need to worry about scratches rusting. 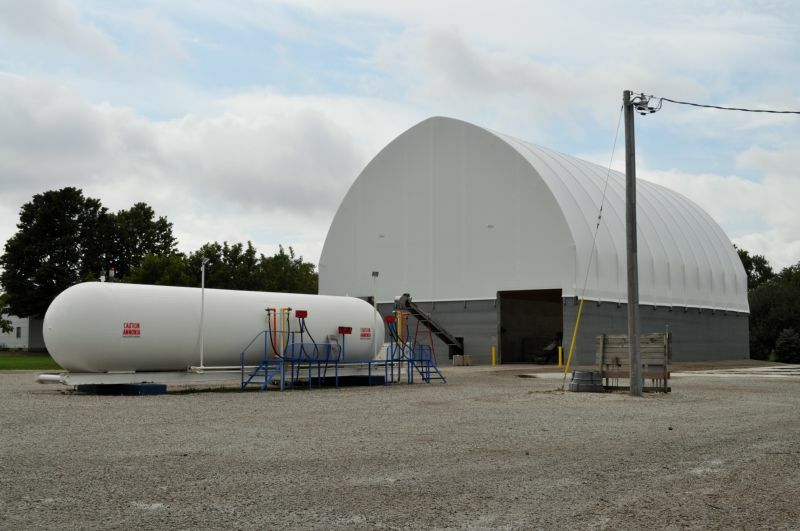 This is extremely important in corrosive environments such as barns or buildings where muncipal waste, manure, fertilizer, salt or compost are stored. 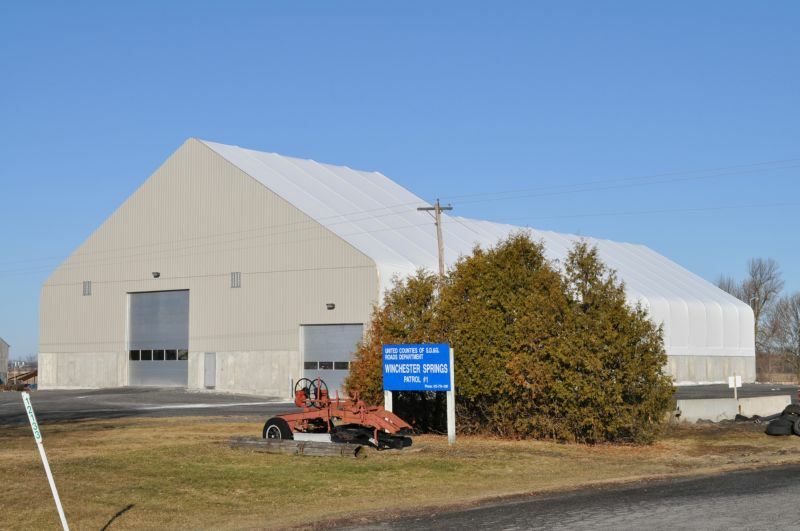 Before any truss is shipped from Calhoun SuperStructure, it is checked twice to ensure that the surface is perfectly smooth, for maximum durability and strength that lasts. 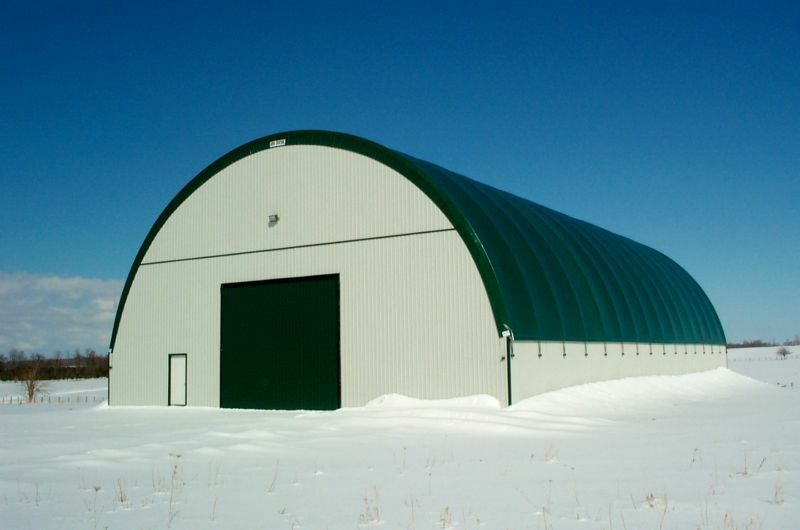 Our VP Series is available with eaves or as rounded. 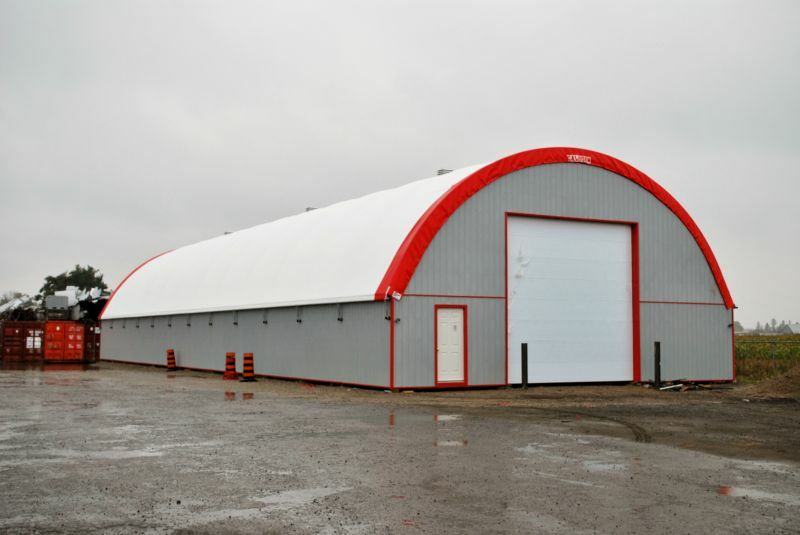 These free span traditional peak buildings are available from 65' to 160' in wide. Trusses are on 12' centers with 14' sidewalls. 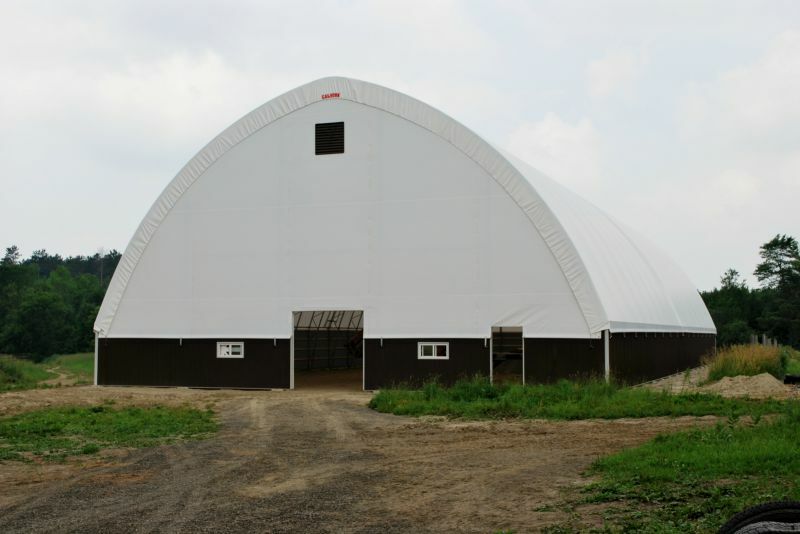 Individual panels of fabric between each truss make cover replacement easier and less expensive. 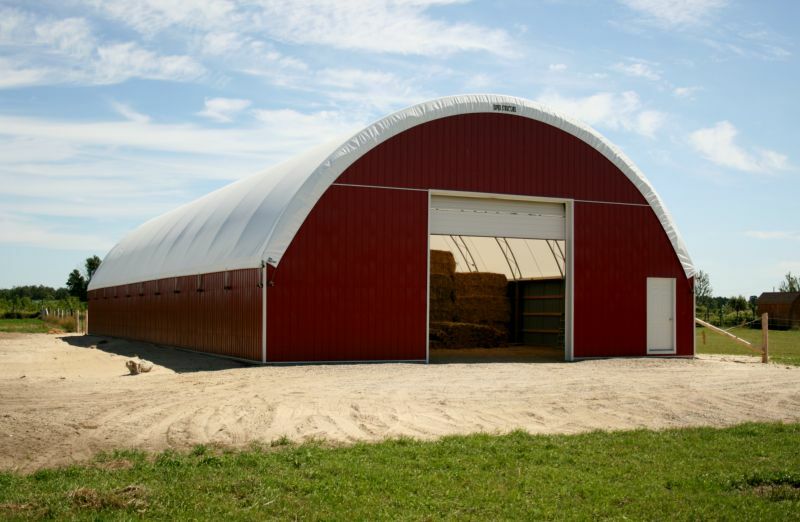 The open ridge enhances ventilation. 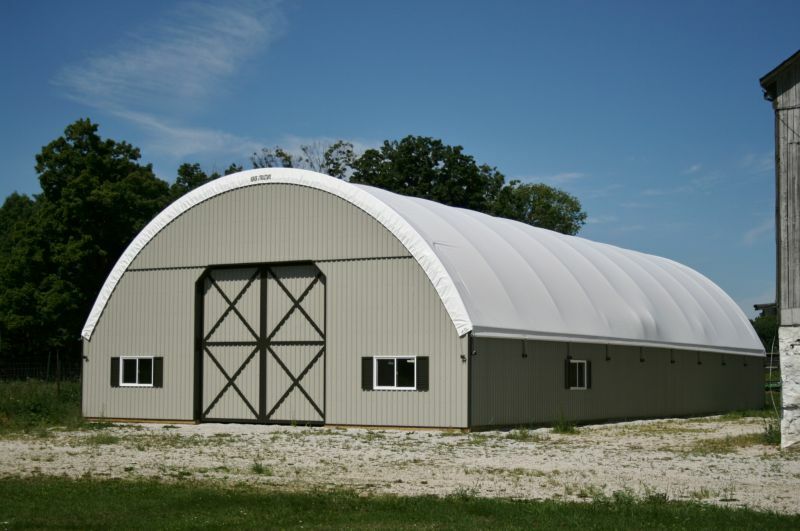 The VP Series is engineered to be clad in wood or steel, if preferred. 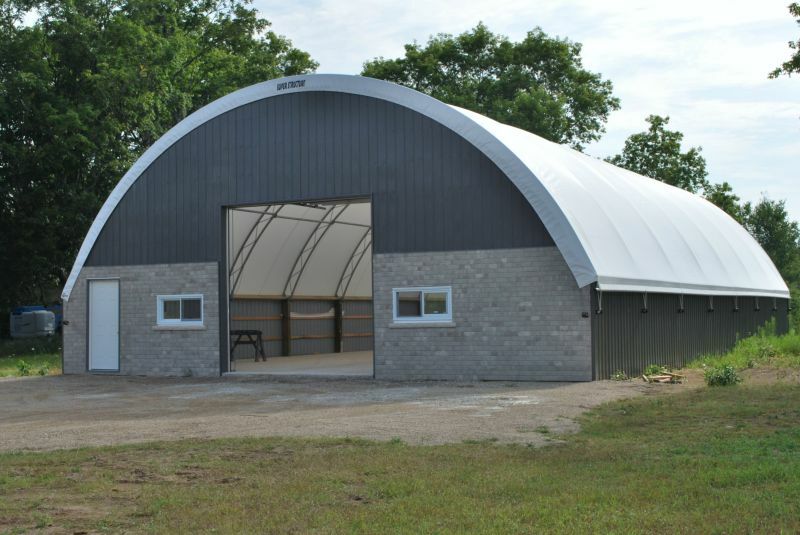 VP Series structures are popular as barns, riding arenas, and agricultural, manufacturing and recreational buildings. 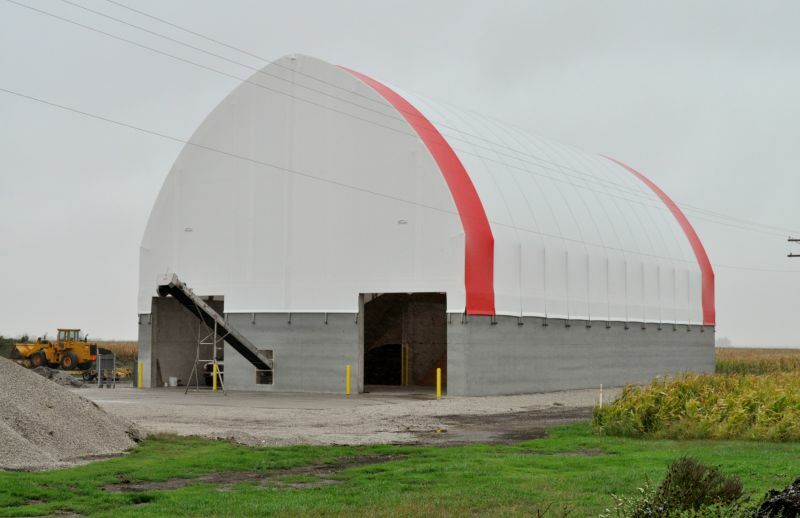 Our HT Series structures are available in 50', 60', 65', 70' and 80' widths, and can be built on engineered steel legs or concrete walls on 8', 10' or 12' centers, depending on site variables such as wind and snow load. 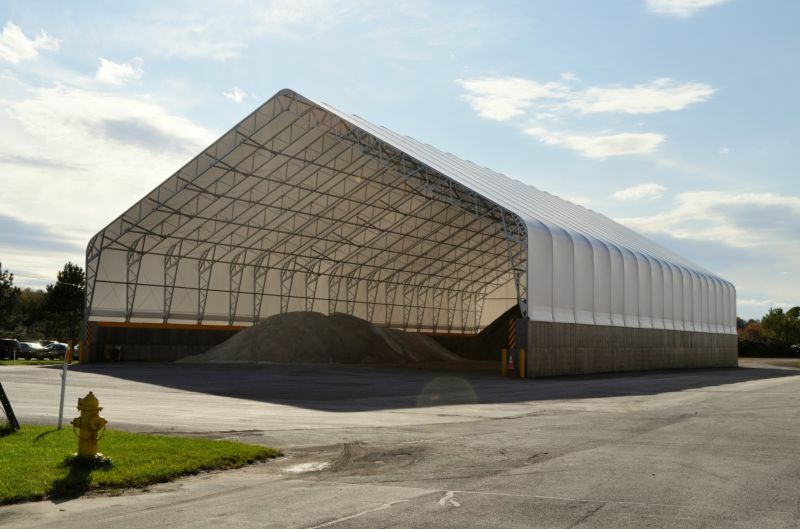 HT Series structures are popular for use as boat and municipal storage, agricultural, recreational and manufacturing buildings. 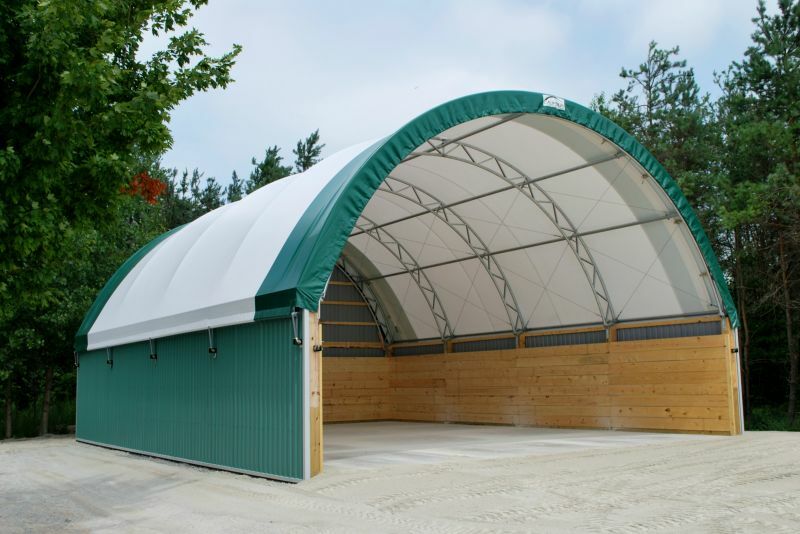 Our CC Series structures are available in 32', 42', 52' and 62' widths. That's two feet wider than most of the competition, an important feature when storage space needs to be maximized. 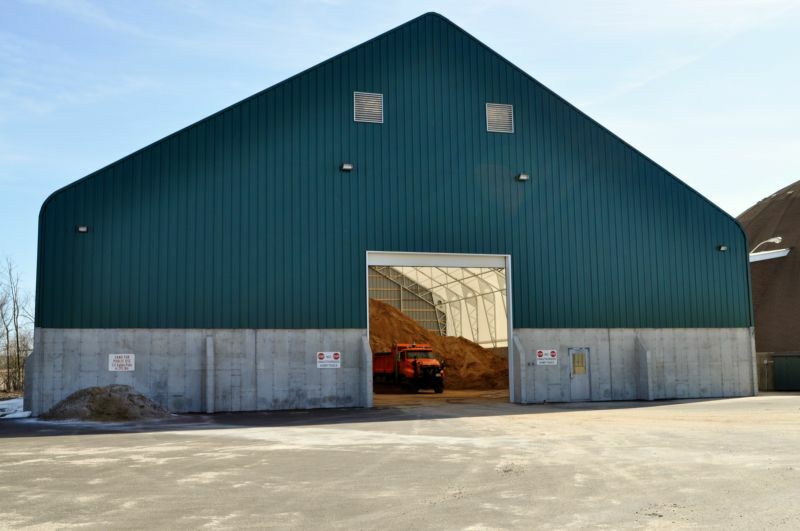 Depending on the factors related to the location, such as wind and snow load, the building can be placed on 8', 10' or 12' centers. 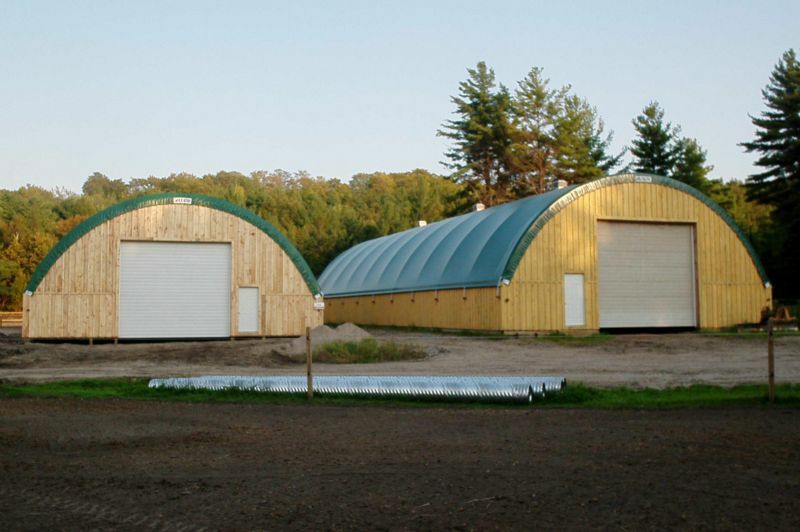 Buildings can be designed for wood posts, steel legs or concrete walls, with ends and sidewalls customized to suit your needs. 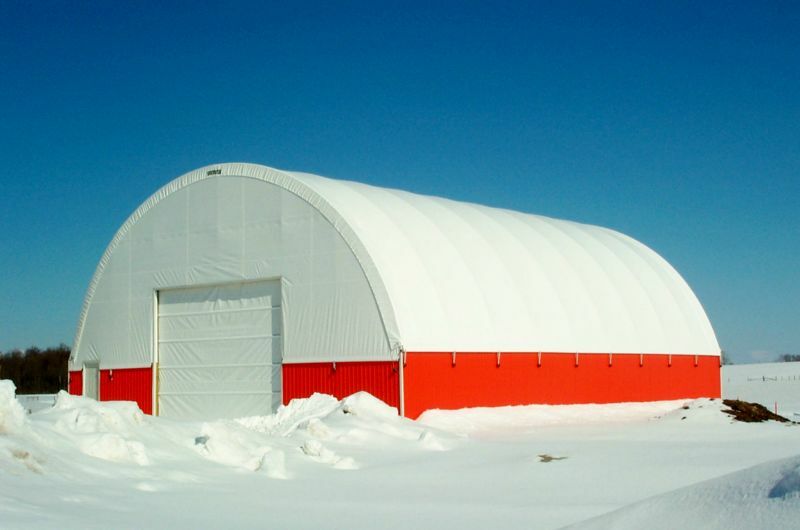 CC Series structures are popular for use as municipal storage, airplane hangers, agricultural and recreational buildings.